Hi everyone! 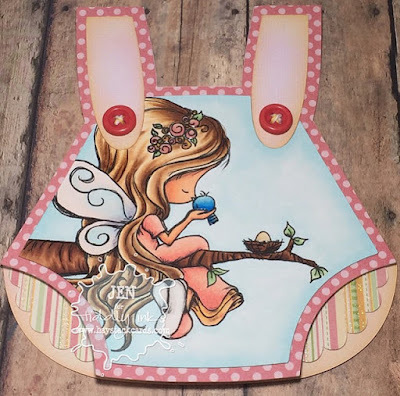 Today we are kicking off another fun challenge over at the Tiddly Inks Challenge Blog. 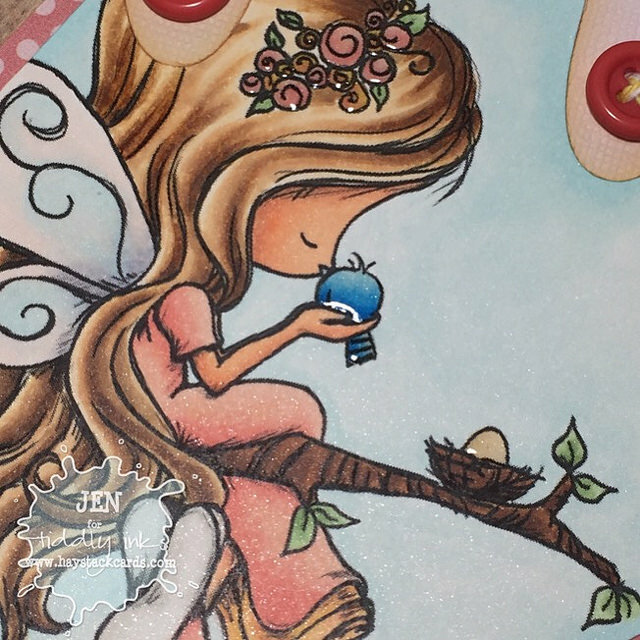 We want to see your adorable fairy creations. Have you checked out the Fairy & Fantasy collection yet? Christy has tons of gorgeous images that meet the criteria for this challenge. 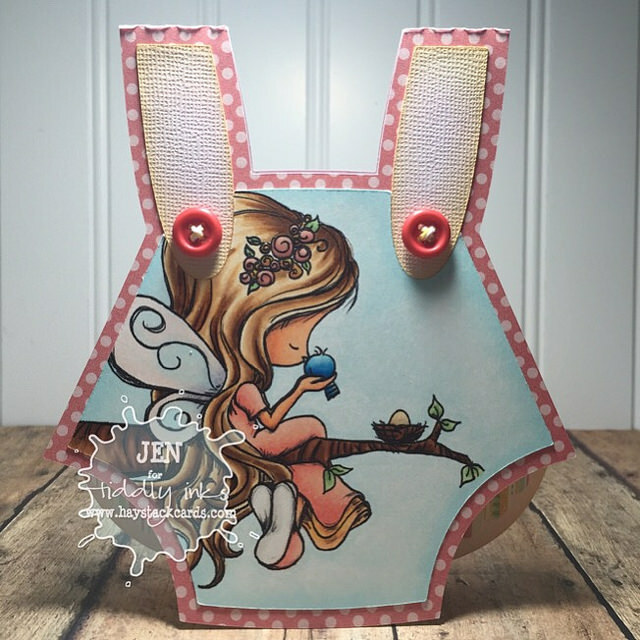 For my card, I used Fairy Tenderhearted in a onesie shaped card that I gave to a friend for her baby shower. I love how it turned out!! I blended on some light distress ink to soften the light pink textured cardstock on the straps before added some buttons threaded with yellow twine. Glossy accents to the floral head piece, blue bird, and the egg waiting to hatch finish off the card. I hope you have a chance to play along with us in this challenge. Link up your cards and projects here so we can leave you some lovely comments! I can't wait to see how you are inspired by this theme! What a wonderful idea! So lovely!